What just happened? Intel has released new U-series and Y-series CPUs that will be making their way into ultrathin laptops, 2-in-1 systems, and mobile devices. Support for gigabit wireless networking is now a standard across all of the new CPUs. 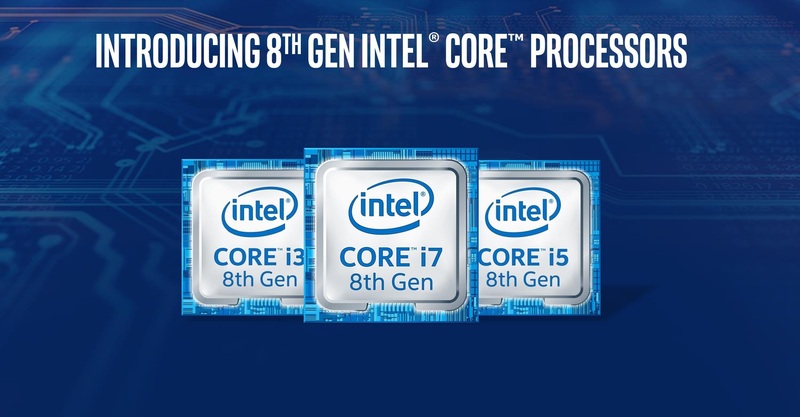 Intel's 8th generation of U-series and Y-series CPUs have been unveiled today. Formerly carrying code names of Whiskey Lake and Amber lake, the new processors are improving upon connectivity in ultrathin laptops and battery life for all mobile devices receiving the new chips. The U-series consists of 15-watt processors with a maximum of four cores and eight threads. As a standout feature, gigabit Wi-Fi will be available for the first time on this class of processors. 2-in-1 devices and laptops using the 8th generation U-series are expected to last for up to 16 hours on a charge with modest performance or up to 19 hours with aggressive power saving features enabled. Additionally, there is now support for Dolby Vision HDR and Dolby Atmos to provide an improved audio experience. Y-series processors are designed for the lightest and smallest devices. They share the same gigabit wireless speeds available on the U-series, but can be implemented into devices less than 7 millimeters thick and less than 1 pound. Even in such a small form factor, the Y-series offers support for up to three independent displays. Standard I/O includes up to five USB 3.0 ports, up to 6 USB 2.0 ports, up to 4 SATA 6Gbps ports, six I2C interfaces, three UART, and support for one SDXC card. To keep pace with trendy features, Intel has added hardware to make speaking with digital assistants a breeze. Power efficient methods of listening for wake words now exist to make accessing Alexa and Cortana quick without causing unnecessary battery drain. Pricing, core counts, and clock frequencies can be found on the spec table below. Note that the TDP is configurable by OEMs. Y-series processors can go as low as 3.5W or up to 8W depending on the model. U-series CPUs can range from 10W all the way up to 25W. Nominal ratings are listed, but realize that devices containing these processors could have vastly different performance.